Property Development finance is used by real estate developers to fund a variety of building projects, conversion projects or renovations of real estate. It is typically secured by a first legal charge against the project. A development finance lender will usually lend against the value of the land plus (most or all) the build costs. The central figure that the lender would like to know is the Gross Development Value (The value of the finished project) also known as GDV. The funds will be released by stages (monthly or quarterly) following the project progress. Almost all types of property developments can be classified under the finance for property development umbrella; it includes the new build of residential projects, commercial projects, Mixed used, hotels, offices, industrial parks, care homes and care villages, Holiday homes, houses, flats and more. It also includes all types of refurbishments, conversions, PRS and PD rights. A property development loan is usually for a short-term period. It’s usually between 12-36 months. The lenders supervise on the project with (usually) a QS report on the project progress. The development loan is repaid to the lender at the end of the project either by selling out or refinancing with an investment facility. 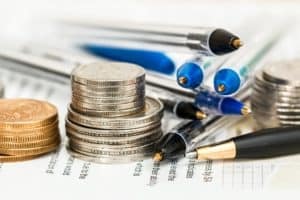 The lenders calculate a development finance facility as a percentage of the gross development value of the finished project (the GDV) as well as, as a share of the costs, the lower between them. The size of the development loan needed by the sponsor is calculated according to the actual costs of the project. The costs include the purchase of the land with all the expenses like stamp duty, legal and others, build costs together with any other associated costs until the project is finished. In a development finance facility the funds will be released by stages (monthly or quarterly) following the project progress. PRS- Build to rent expression is employed in the UK when people want to describe private building to rent out. The properties are owned by private landlords who can be companies or individuals. We at property finance partners work closely with real estate funds and alternative lenders and that offer high LTV as well as JV partnership and equity investments in different PRS projects all over the UK. The plan that is called PDR permitted development rights enables to change and convert office buildings to residential units without applying for planning permission in some cases. The owners approached us and we restructured for them the whole deal including the land purchase timing. A developer has bought an option for building with PD Rights (to convert offices to flats). The time period of the project 20 months to convert and 4 more months to finish the whole sales. 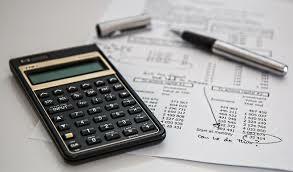 The developer has made his financial calculations and appraisals and decided to find a JV Partner that can support him without any pressure and provide him with all the finance that he needs for the project. We have approached a real estate fund which shares the same strategy and can support the developer with the funding needed without any pressure. The developer can realize this project by using a joint venture agreement with the fund. A developer has bought a land, without planning and achieved the planning (subject to S 106) to build a residential project. The developer is interesting to build 50% for sale and the rest 50% build to rent, keeping 50% of the portfolio as PRS (Private rented sector) project. The time period of the project was 24 months to build and 12 months to stabilize to project sales and rentals. 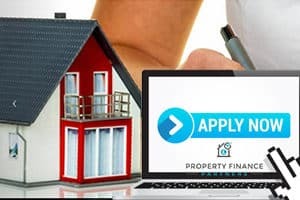 The developer has arrived at property finance partners and we have structured the financial appraisals and decided together to find one lender that can support him in both of the phases of the project or two different lenders. The developer can realize this project by using a development finance facility in stages according to the project progress. A landlord that is also a developer approached us to assist and structure his finance and raise finance for further growth. We analyzed his current portfolio, the value, the debt, the annual yields, the locations and the whole financial situation of him and of his companies. Based on our knowledge and working relationship with different funds. We have built for him a roadmap, how to continue to grow by using his existing portfolio, as well as, finding “the right” new potential developments (with our guides and advisory) that will fit exactly the financial institutions lending requirements and criteria. The Landlord will grow his portfolio with our structures of financial debt as an equity loan in addition to a pure development facility.